The attorney for “James Doe”, an acknowledged victim of Dennis Hastert, said Wednesday she has been approached for a “settlement demand” from Hastert’s attorney--a number which, if agreed upon, would end that man’s ongoing lawsuit against the disgraced former House speaker. Phil Rogers reports. 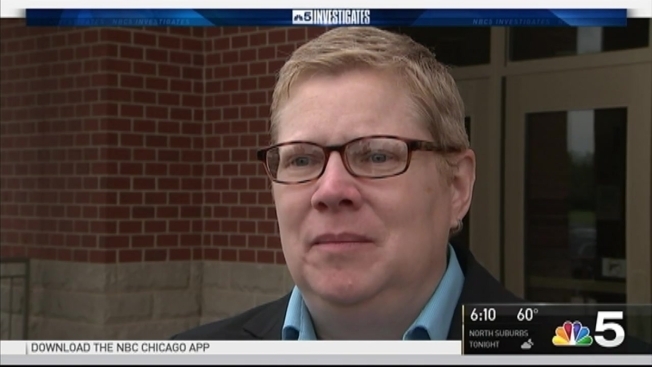 The attorney for “James Doe”, an acknowledged victim of Dennis Hastert, said Wednesday she has been approached for a “settlement demand” from Hastert’s attorney--a number which, if agreed upon, would end that man’s ongoing lawsuit against the disgraced former House speaker. The now-grown accuser says he is still owed the majority of what was supposed to have been $3.5 million in hush money designed to keep decades-old sexual abuse at Hastert’s hands quiet. The scheme was uncovered after Hastert had paid an estimated $1.7 million, and the man says he believes he is still owed the balance. Hastert remains in a federal penitentiary in Rochester, Minnesota, serving a 15 month sentence. Browne indicated she hopes to question the former speaker in connection with her client’s lawsuit when he regains his freedom, possibly in July. Her client, known in court documents as “James Doe”, has never been publicly identified. And Browne says she intends to keep it that way, even if the case goes to trial. Browne noted outside court that it is true that the majority of all civil cases settle. In the meantime, the two sides agreed that there may be a need for voluminous discovery--much of which is still sealed as part of Hastert’s criminal case. Browne indicated she may approach the federal judge who oversaw that case, to transfer those materials, still under seal, to her case. The matter is scheduled to return to court in Kendall County Aug. 28 at 9 a.m.